Often Small lot coffees are not certified organic Even though they are grown organically because small farmers cannot afford to certify their crop. But our preference is to support the smaller farmers for their quality product. Tasting Notes: Peach pie, Fresh cream, sugar cane. 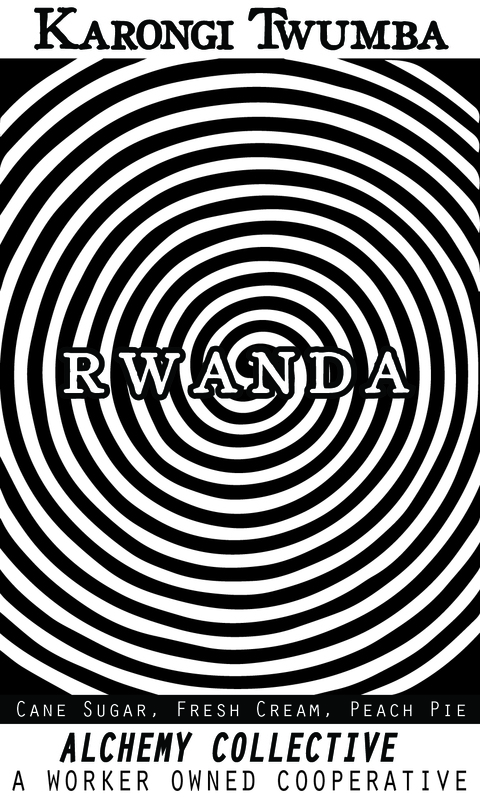 I first got interested in roasting a Rwanda for the cafe because a friend of mine was working at Red Fox Green Bean Importers and mentioned that the Rwandan coffees were cupping really well this year. The tasting notes for the Korongi from Twumba washing station in particular interested me. I have not been disappointed. It’s incredibly smooth and fruity without being sharp or sour. One customer described it as tasting like it already had cream in it without adding anything. The fact that it’s a washed coffee allows the peach and stone fruit flavors to come through with a clean finish. Washed process is when fresh coffee is pulped and washed multiple times until the fruit or "cherry" is removed from the bean before drying. Washed process is common but not exclusive to wetter climates as drying coffee with the "cherry" makes it more susceptible to mold. Washed process also allows more subtle flavors to come through without getting overpowered by the fruit. Twumba is a new washing station in the district of Karongi, just north of Nyamasheke and also in the western province. Elevation is high here as well — the washing station sits at 1856 masl, with farmers bringing cherry down from the hills above. This coffee has been blowing us away since we first cupped it this summer. The aromatics are full of candied fruit and bright cane sugar, with white peach, sweet lime, and black cherry in the cup.